BEL ESPRIT (AUS) (Bay 1999-Stud 2003). 8 wins-5 at 2, BTC Doomben Ten Thousand S., Gr.1. Leading Aust. Sire of Winners 2012-13. Sire of 991 rnrs, 671 wnrs, 26 SW, inc. Black Caviar (ATC TJ Smith S., Gr.1), Bel Sprinter, Bel Mer, Keen Array, Sweet Sherry, Afleet Esprit, Se Sauver, Gabbidon, Vivacious Spirit, Belwazi, Tactical Advantage, Lady Esprit, Iconic, Angels Beach, City of Song, Honey Flower, Loveyamadly, Audacious Spirit, Oregon Spirit, etc. Red Belle (f. by Von Costa de Hero). 2 wins at 1100m, 1200m to 2018-19 in Aust. Our Campana (f. by Bel Esprit). Winner. See below. Belle's Ready. 2 wins. See above. Bank on It. 2 wins at 1200m, HKJC Waterloo H., Hankow H., 2d HKJC Island H., Makapura Star H., Ninepin Group H., Powerbase H., Blazing Fire H., 3d HKJC Audemars Piguet Dynamograph H., San Domenico H., Chongqing H.
Rocky Gargar. 3 wins from 1400m to 2000m in Aust. Fluffies Reef. 3 wins at 1500m, 1600m in Aust. RAFT (Danzatore). 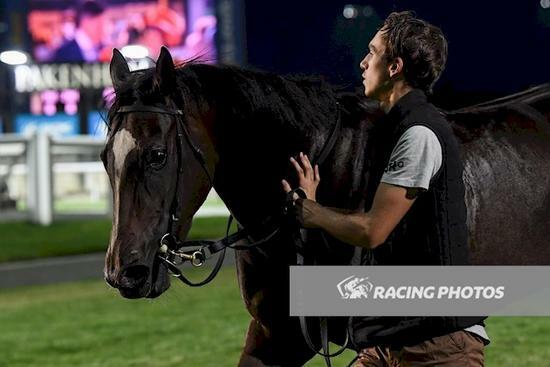 10 wins from 1200m to 1700m, A$214,770, Qld Tatt's RC Tattersall's Mile, L, VRC Liz Davenport Welter H., STC Thimble Welter H., QTC Queensland Day H., Carlton Cold H., SAJC Schweppes Oasis P., 2d Mornington Cup, L, 3d Darwin Cup, L, MVRC RV Moon H., 4th Qld Tatt's RC Tattersall's Cup, Gr.3. Martes Trece. 9 wins-1 at 2- in Dom Rep.
Crisol. 6 wins in Panama. Sometime Lady. 6 wins from 7f to 8½f in U.S.A. Producer. Dr. Karakorum. 5 wins to 7f in U.S.A.
Civil Action. 4 wins-1 at 2-at 6f, 7f in U.S.A.
High Wave. 3 wins. See above. Oxford Des (Almurtajaz). 4 wins to 1400m, 3d SAJC Balcrest S., L, Beau George 2YO H.
STARRY NIGHT (Northern Dancer). 3 wins from 6f to 8½f, Birmingham (USA) Oak Mountain S., L, 3d Birmingham (USA) Cahaba S., L, Mountain Brook S., L, Talladega S., L. Sire. Scattered Steps (Fred Astaire). 3 wins, 2d Belmont Lawrence Realization S., Gr.3, 3d Meadowlands Rutgers H., Gr.3, Monmouth Restoration S., L.
Floating (Foolish Pleasure). 7 wins. See above. Furniture Man (Judge Smells). 7 wins from 6f to 1m, 3d Hoosier Park Corydon Starter H., L.
CAUGHT IN THE RAIN (Petionville). 9 wins from 8¼f to 9f, US$455,034, Churchill Downs Mrs Revere S., Gr.2, Aqueduct Athenia H., Gr.3, Philadelphia Park Yankee Affair S., L, Pistol Packer H., L, Mrs Penny S., L-3 times, 3d Aqueduct Beaugay H., Gr.3, Philadelphia Park Dr James Penny Memorial H., L, 4th Aqueduct Top Flight H., Gr.2. Producer. Sky Legacy (Birdonthewire). 4 wins-2 at 2-from 5½f to 1m, 3d Monmouth Tyro S., L.
PAISLEY PARK (Notebook). 7 wins-1 at 2-from 5½f to 8½f, US$235,550, Meadowlands College of New Jersey S., L, 2d Monmouth Lighthouse S., L. Producer.